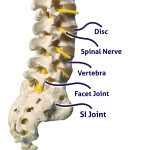 Spinal stenosis is a disorder that results from the narrowing of the spinal canal. Potential causes include bulging or herniated discs or arthritis. Pain resulting from this condition is normally due to the nerves or spinal cord itself and is usually experienced in the lower back. Common symptoms include difficulty walking, decreased feeling in the legs and feet and reduced physical activity. Symptoms that may indicate a medical emergency include bladder or bowel incontinence, severe weakness or loss of sensation. Seek medical help immediately if these symptoms develop. Epidural steroid injections targeted at the affected area of the spine may relieve pain. 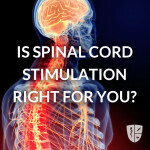 Alternately, a spinal cord stimulator may be the best option for spine pain treatment. If more conservative treatment options do not provide significant relief or if the condition is severe, the doctor may recommend surgery. If you are experiencing complications due to Spinal Stenosis schedule your appointment today and meet with our providers to discover if there is a spine pain treatment that is right for you.